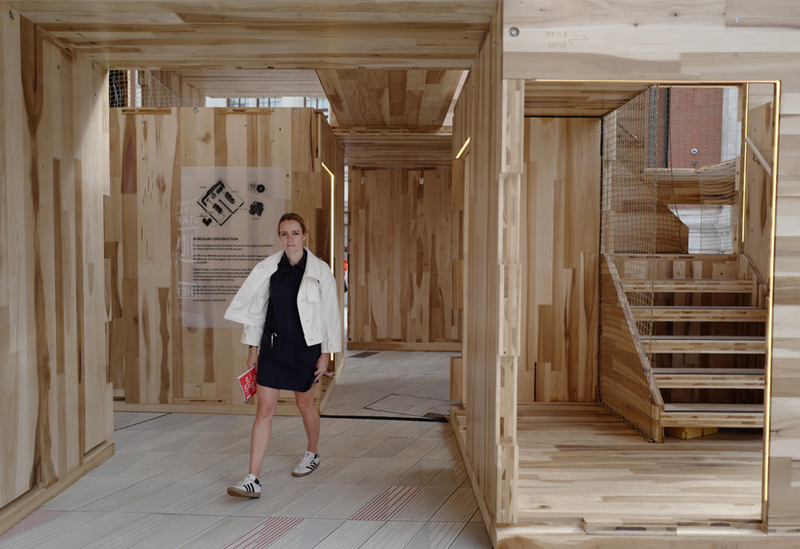 This interactive modular maze was one of two Landmark Projects we helped create for 2018’s London Design Festival. 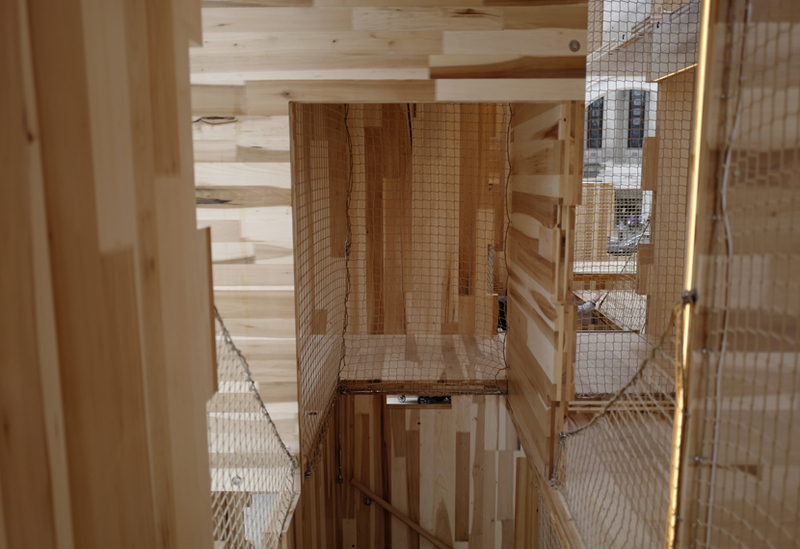 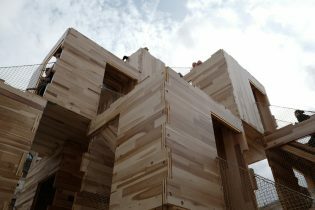 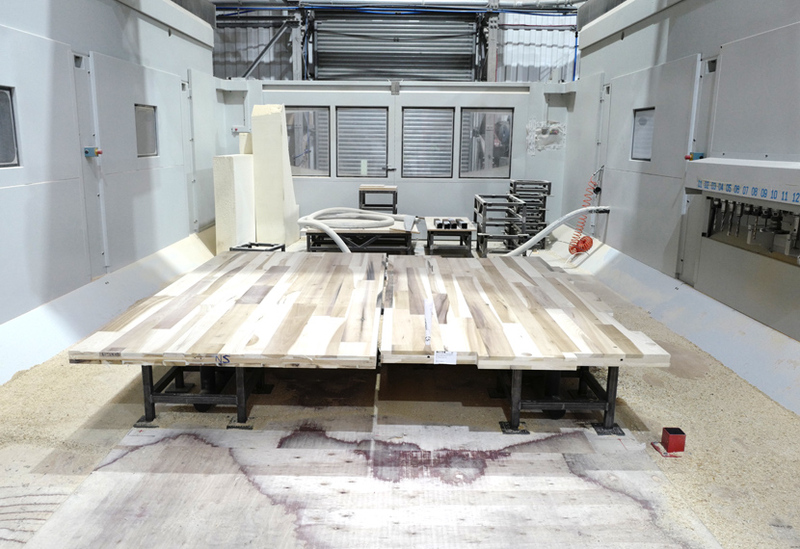 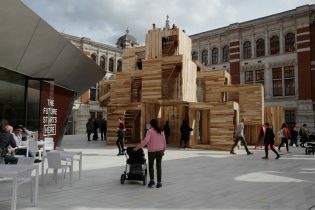 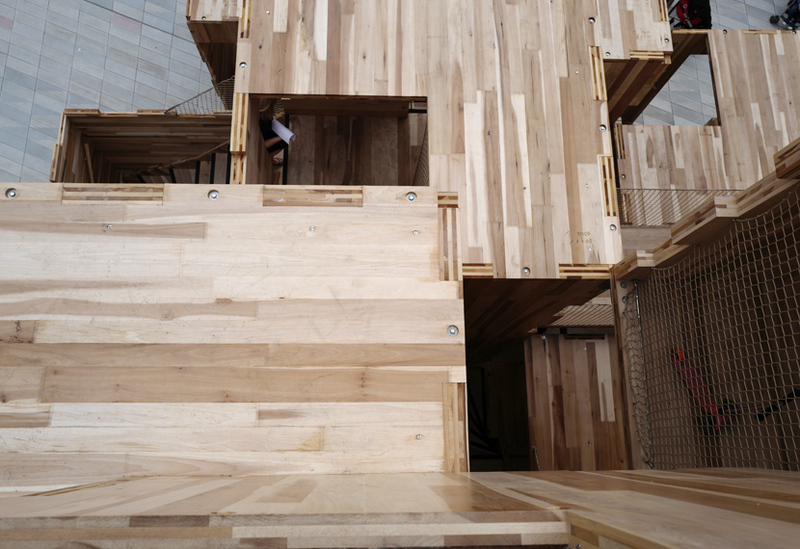 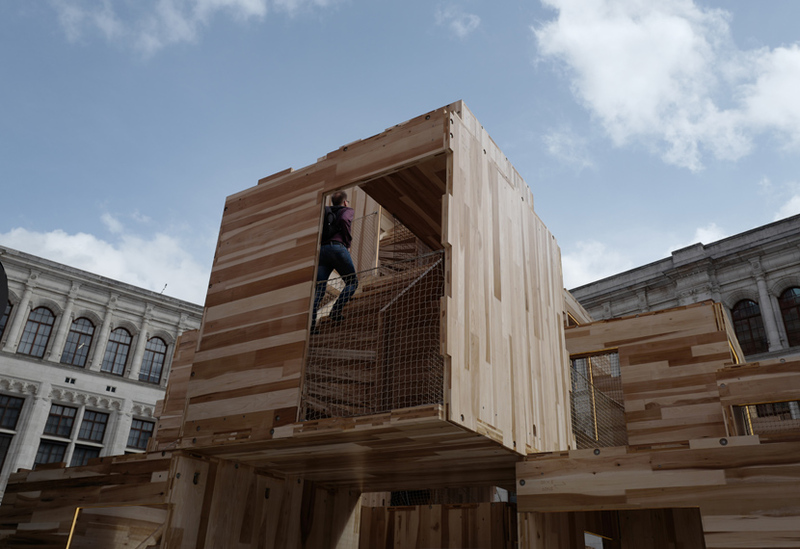 A collaboration between Waugh Thistleton, Arup and the American Hardwood Export Council, MultiPly consisted of 17 modules manufactured in our workshops from panels of cross-laminated timber (CLT), in this case, tulipwood. 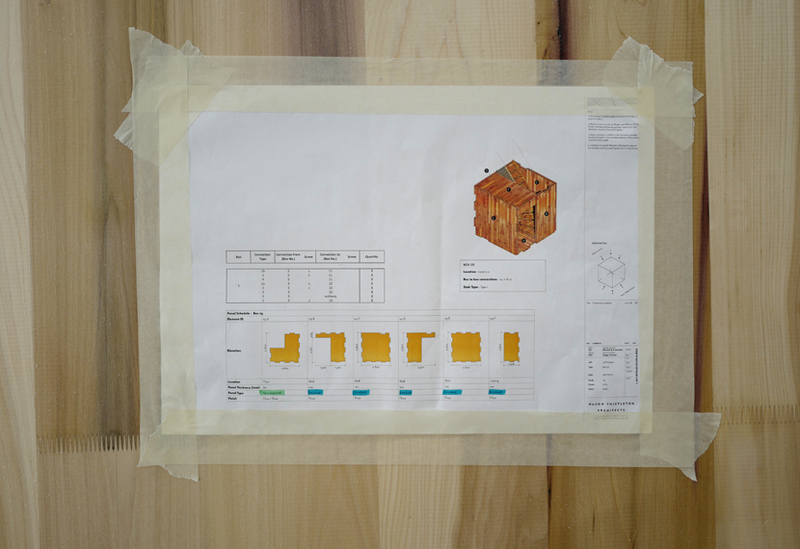 We worked with the architect’s model, our CAD team adding connections and construction details to the fabrication drawings. 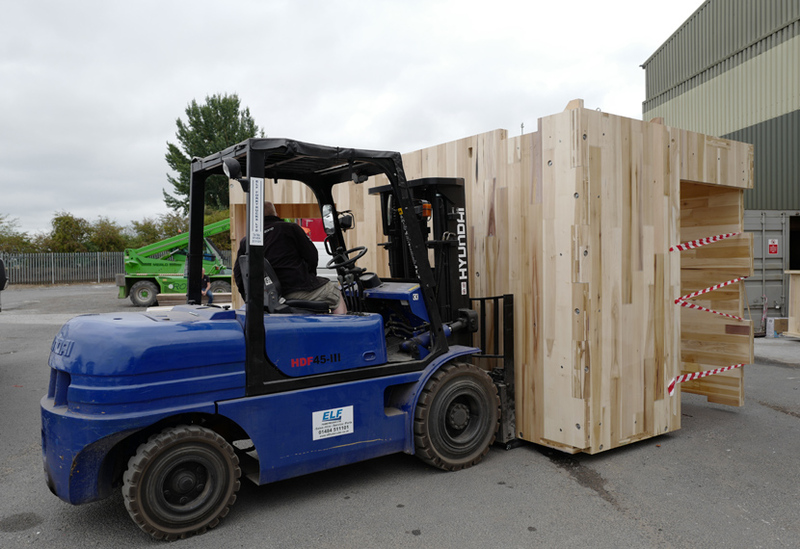 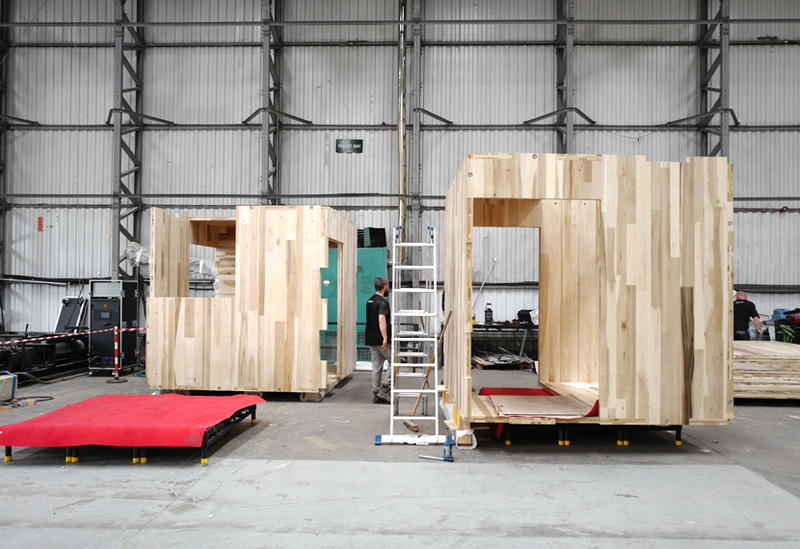 The specially-made 2.8m finger-jointed panels of CLT arrived at our workshops in 60mm or 100mm thicknesses. 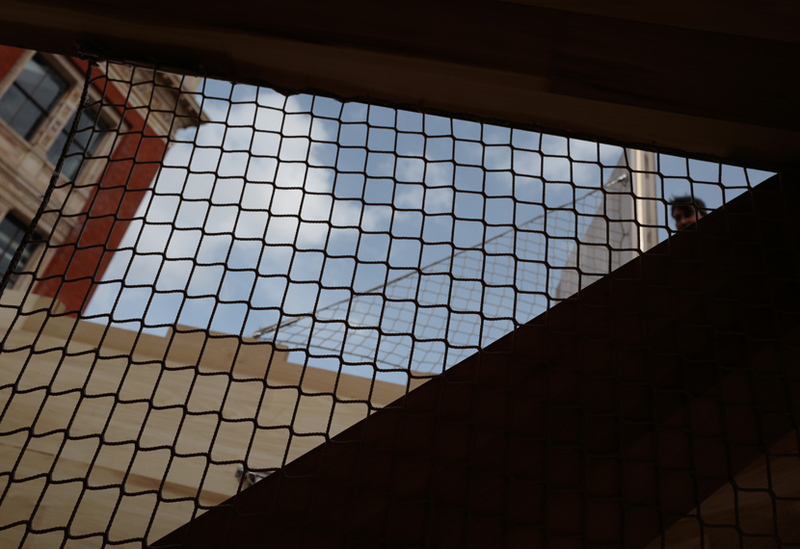 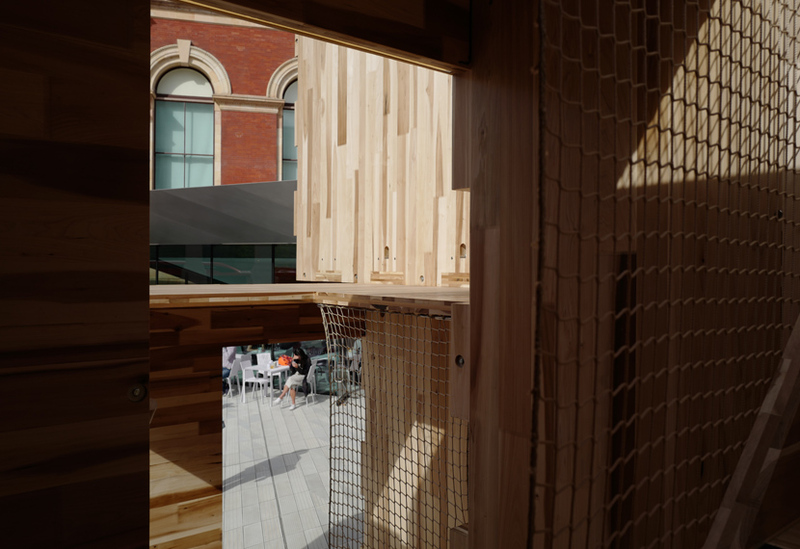 The thicker panels were used for load bearing locations within the structure which led visitors up ramps, through intersecting units, across overhanging units, around corners, over bridges and up staircases to a height of nine metres, providing unusual perspectives and views of the museum. 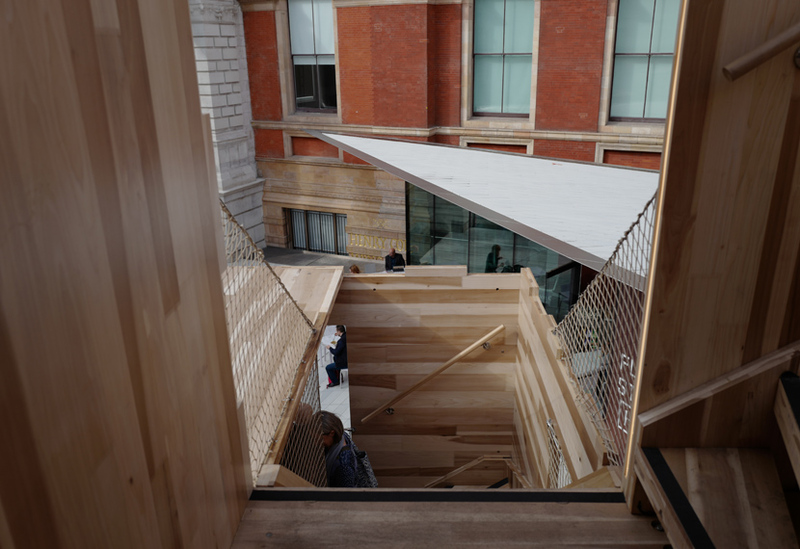 Our experienced pavilions team installed the structure at the V&A, taking care to protect the porcelain tiles of the Amanda Levete-designed Sackler Courtyard below. 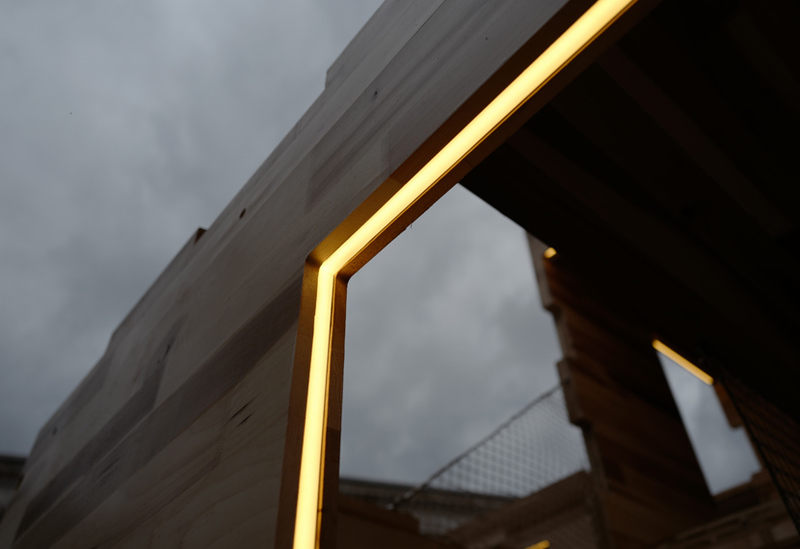 As dusk fell, neat lighting strips recessed around the entrance apertures glowed a welcoming yellow.